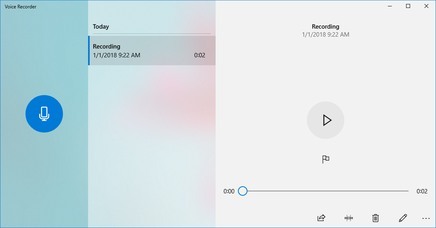 To begin using the Voice Recorder app, hit the big Record button (1), and add markers (3) to identify key moments for record or play (2). Next, you can trim (5), rename (7), or share the recordings (4). 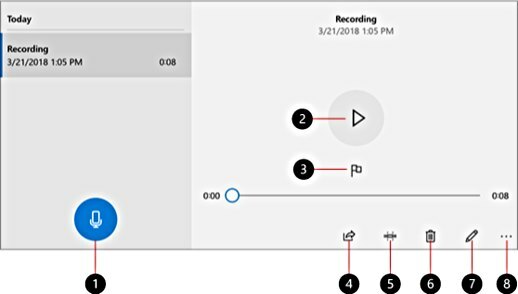 Select the trash can icon (6) to delete recording, or the three dots (8) for more options. The recording file will saved in Documents > Sound Recordings.